At Quilted Joy in Louisville, KY we are seeking a Customer Care Superhero who wants to pet fabric, play with thread, and be surrounded by quilty goodness all while spoiling our customers. This person is responsible for all sales associate job duties, from greeting customers, answering questions, offering assistance, suggesting items, lending opinions, and providing product information. We specialize in machine quilting but don’t worry if you are new to machine quilting concepts as we provide all the training you need! Individual responsibilities as a Customer Care Superhero may include, keeping the selling floor stocked with merchandise, fulfilling internet orders, answering the phone, assisting in display of merchandise or organizing the selling floor and stock areas. The Superhero we are seeking will maintain a professional attitude with sincerity and enthusiasm reflecting our commitment to our customers. They will develop product knowledge by reading current vendor tags, articles, pamphlets and learning about our products in order to communicate it to the customer. They will stay current with promotional events and sales. Available to work weekdays for 4 hours 3-4 days a week during school hours. Starting wage of $10/hr. Know someone perfect for our Customer Care Superhero position? Please share this with them and have them contact us today! 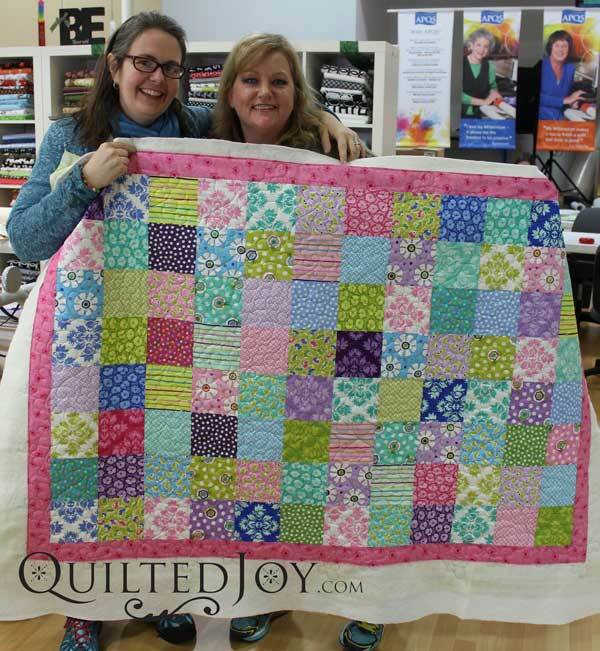 At Quilted Joy in Louisville, KY we are seeking a Quilt Fairy to be a cheerleader and teacher as they oversee our fabulous group of longarm machine renters. We are looking for someone willing to learn as much about longarm quilting as possible including troubleshooting and best practices. Don’t worry if you don’t know anything about longarm quilting! We will teach you what you need to know. General quilting knowledge is a plus. Our Quilt Fairy needs to be able to do four things at once with a smile and a teacher’s heart. They teach our renters how to use the machine and hold their hands along the way to ensure success. While their primary responsibility will be to help and guide those renting our longarm quilting machines, they will also assist our Customer Care Superheroes to fill internet orders, help walk in customers, answer the phones, restock merchandise and pet fabric. We are a very small business so our Quilt Fairies must be willing to help out where needed and be flexible. This person will maintain a professional attitude, develop product knowledge, and seek to be helpful in all ways possible. It is important that they be a self starter and willing to anticipate what needs to be done to help our little business thrive while keeping our customer’s happiness at the center of it all. Available to work for 2 days a week including every other Friday (10-5pm) & Saturday (10-4pm). Starting wage of $10/hr. Physical demands: This position involves constant moving, talking, hearing, reaching, grabbing and standing for at least three consecutive hours. May occasionally involve stooping, kneeling, lifting up to 25 lbs, and crouching. Know someone perfect for our Quilt Fairy position? Please share this with them and have them contact us today! Next post: Rule Your Quilts with Rulers!